Words cannot begin to describe the humble gratitude I feel to be a conduit for The Divine. I truly believe in BEing the change we wish to see in the world, and know that if we are to heal our world, we must heal ourselves first. Healing comes from within. Change comes from within. This is why I am beyond excited to be able to share a longtime dream awakening. I have been manifesting a way to share Divine conscious connection with Beings all over our world, and cannot think of a better place to start than SURRENDER. SURRENDER. One of the most powerful words I have ever come to know. We were put here to receive. We were put here to BE. Just as you can not put anything into a box that is full, you cannot receive anything unless you are open. There is much The Divine is trying to communicate with us NOW. The Divine wishes to communicate with YOU. YOU are a channel for CHANGE. YOU are a vessel for LOVE. YOU must go within to create change and surrender to truly receive all that YOU are worthy of. It is my humble honor and pleasure to share with you one of the greatest gifts The Divine can give. Surrender. Now available on ALL music platforms! 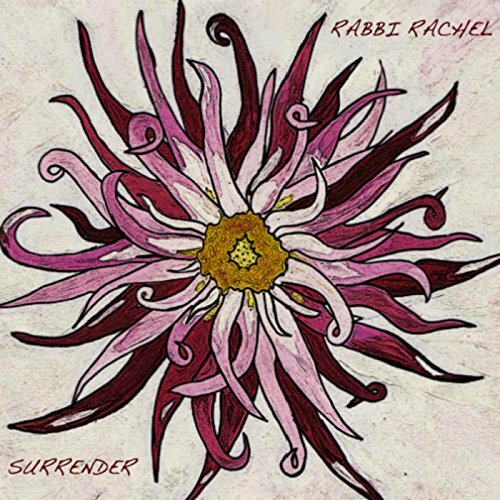 The sharing of "Surrender" would not be possible without my amazing friend and producer, Adam Hayman. The Divine brought Adam and I together during our trip to Israel in 2015 to form a connection that is beyond cosmic. When we met during our Birthright trip, we both instantly knew this was not our first lifetime together. Brought together by the fact we were the only vegetarians on the trip, a friendship formed over similar food choice, blossomed into a magnificent healing force. We would talk at length about consciousness and spirituality, sharing in the deep connection of the sacred land we were exploring. Adam was one of the first people I told when I decided to become a Rabbi. He was with me during every experience I had while in Israel. The fact Adam was an extremely successful producer, was just a coincidence. As we all know though, there really are no coincidences. Adam was looking for a way to share healing through his music, and I had been dreaming of releasing a guided meditation after being asked countless times after treatments, Yoga classes, Reiki trainings, etc.. A couple years later, I finally got the courage to record my voice (Mahalo nui loa to Bub at Kukuau Studio and Sam at Sonic Sculpture Recording! ), sent it to Adam, and "Surrender" was born. Now, we are working together to complete the full-length meditation album that will soon be available to spread healing and conscious connection across our world. Words cannot begin to describe the overwhelming gratitude I feel to work with Adam, and call him my friend and brother. Not only is he an unbelievable producer (as you can hear), but one of my favorite Beings and friends. The energy he has put into this comes from the place of love and service, and I am so grateful to have the opportunity to consciously collaborate with him. After attending Musicians Institute, Adam signed onto The Midi Mafia (known for their work with Justin Bieber, John Legend, and more) as a studio musician & composer in 2014 giving him the opportunity to work with artists including Kehlani, Eric Bellinger, and Grammy winning producers. Since then he's had songs placed in over 150 episodes on nearly every major TV network. At 24 years old, he is currently the lead guitarist and musical director for country artist McKenna Faith, touring internationally and opening for artists including Carrie Underwood, Kenny Chesney, Brad Paisley and many more.